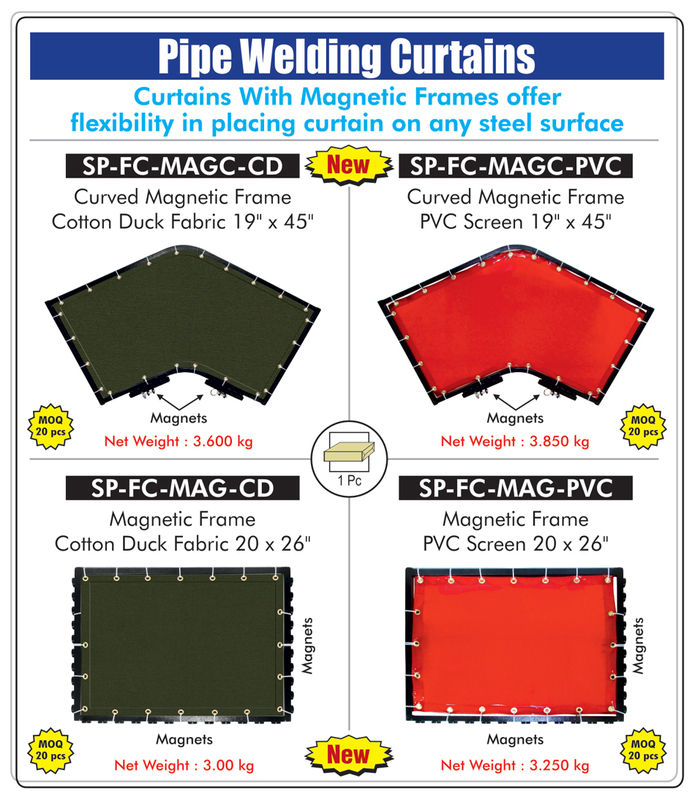 Welding curtains are useful in industrial/contract sites where there is arc welding or metal grinding activity that generates sparks. Sparks or welding arc is harmful to the naked eye, for workers or passer-bys, it is therefore important for visual safety that curtains are used. Welspring's approved and tested welding curtains would provide adequate visual protection for people in near proximity to welding/grinding activities, where exposure to high intensity welding sparks and light could be harmful. Welspring's welding curtains meet CE EN1598-2011 norms, ensuring the curtain material has acceptable transparency, reflectance, UV resistance, and flame resistance. PVC partitions are useful in industrial/contract sites where arc welding or metal grinding activity can cause visual harm. The strip partitions provide flexibility of user/machine/equipment movement through the partitioned area. The strips can be easily crossed without compromising on the workplace safety. Welding booths are collapsible & portable enclosures that can be carried to an industrial/contract site where arc welding or metal grinding activity is prevalent. A welding booth provides the user with a protected, cordoned off area, which inhibits the bright and harmful arc welding/metal grinding sparks from leaving the booth. Thereby reducing any harm to other people on site. Our welding booths are made with steel frames and PVC welding curtains.